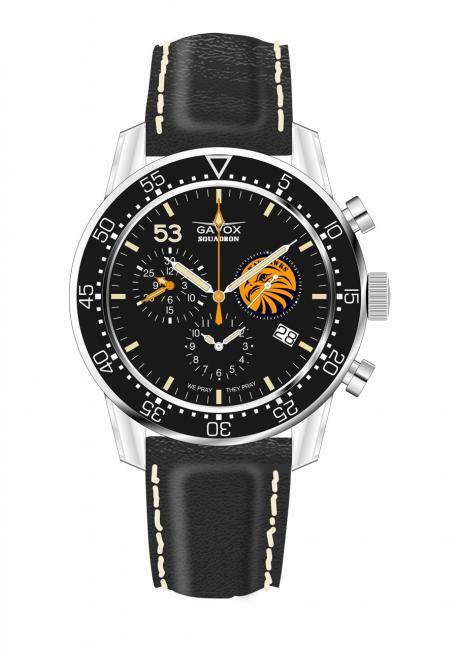 Gavox is a Belgian microbrand, founded by Michael Happé in 2011. 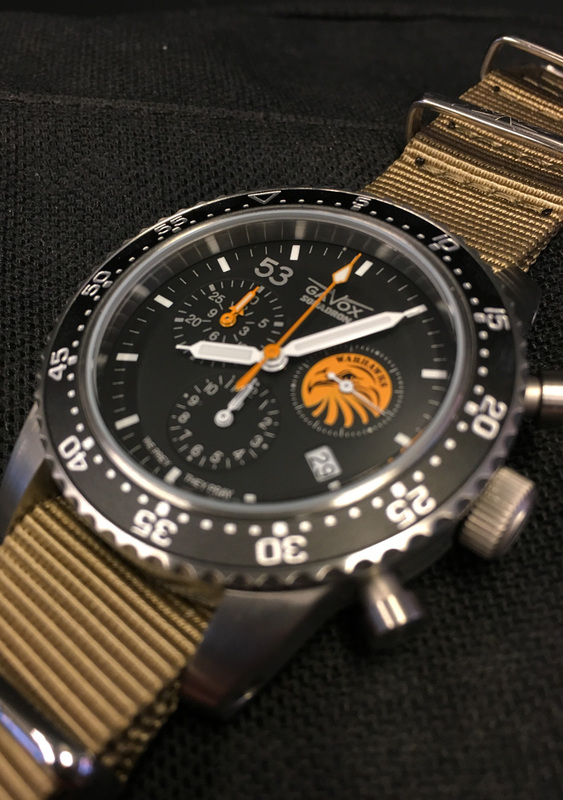 While I never had the chance to see a Gavox outside the Internet, I always kept an eye on the brand because of the very pragmatic design of the watches. The no-nonsense approach to design, the choice of materials and the specs, align Gavox watches with the best tool watches made by other micro and major brands. I’m connected with Michael on Facebook and when he shared a video selfy from Romania, with the gothic church where I was baptised in his background, I dropped him a note to find out more about his visit in Transylvania. He was there to deliver the watches to the pilots of the 711 Squadron in Câmpia Turzii. This was a fantastic achievement for a microbrand and I wanted to know more how did it happen. Michael: He was a Navy, then he got hired with the Flying Tiger, which was a secret project – not military, so he had to leave the Navy, and enter this squadron of 160 people, totally secret, to train the Chinese to fight the Japanese, and after the episode of the Flying Tiger finished, he got back into the Navy and went to India, and that’s where he met my grandmother. He was not a pilot, he was a crew chief officer teaching the Chinese how to fly the plane on a flying simulator, and taking care of all the technical parts of the plane. How did the collaboration between Gavox and different military units start? I love aviation and all my American-side family are in aviation. There is in the United States a beautiful museum, the WAAAM museum created by my great-uncle, my uncle. A collection of planes that are all able to fly, and over more than 30 years, two people were there to work on each of the planes to put them back to life. And my great-uncle was always flying them, and maybe now ten years ago, he managed, for instance, to put back a Curtiss Jenny, number one of the series, and he flew it at the age of 80. I would love to retire flying, you see. Aviation has always been with me and I have a lot of friends that are pilots or went to the army. 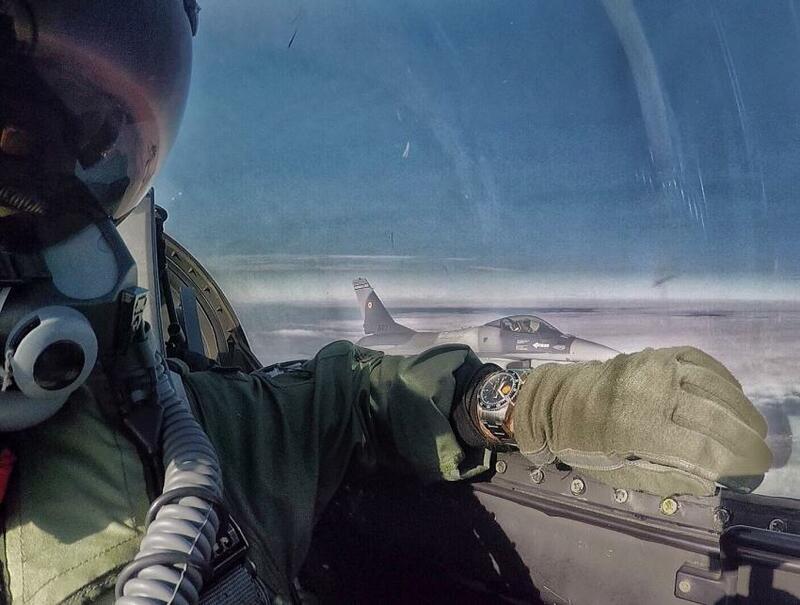 One of my good friends told me, “Michael, Michael, I know the 350 Squadron in Belgium flying F16 – they would love to see what you can do because they always love to have some nice watches with their own information and all that.” So, he arranged a meeting for me with this Squadron and I presented some ideas. 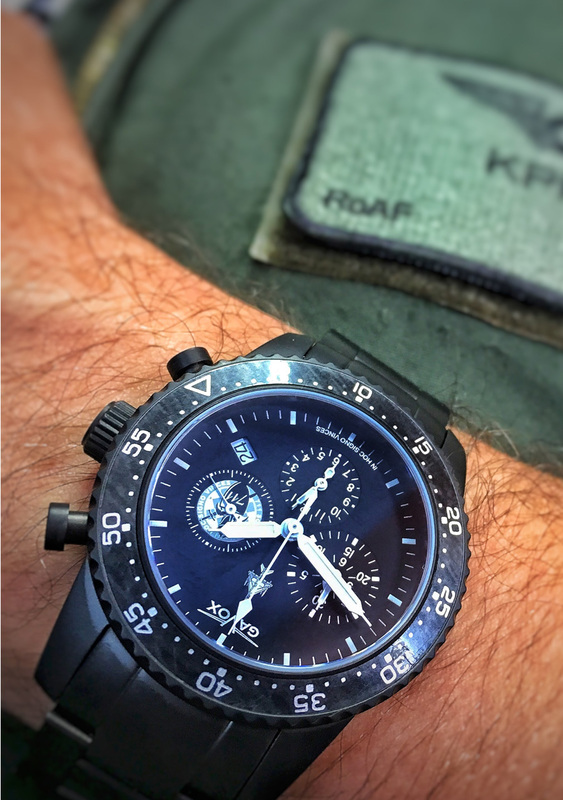 They asked for some changes and then I came back with a proposal for this Squadron watch, featuring a 12-hour chronograph for mission and an alarm that can always be useful. I created this first watch, and I put on the watch case back and on the dial the Squadron logo, I had something very particular for them. It’s a badge you receive when you are able to go to fight, or where you’ve finished all your training and you are complete. And I put that logo in the second counter, and that’s how it started. But very soon after, I got another friend who told me, “Michael I was in the big transport, military transport Squadron as an officer there, and would really recommend you meeting these guys,” and I did so as well. So, I made other watches for another Belgian wing and distributing watches for three Squadron there. That’s how it started. Basically, for me, it is a pleasure out of its own, because making these watches fulfils my need of seeing planes, of seeing everything related to planes, to pilots, to flying and I’m so happy! I already had the idea of watches and pilots going well together. That’s how it started, and to reach Romania, there’s a little story in between. One of these pilots of the 350 Squadron in Belgium, was put for two years in Portugal to train the Portuguese and to fly with them. He was part of an exchange program. 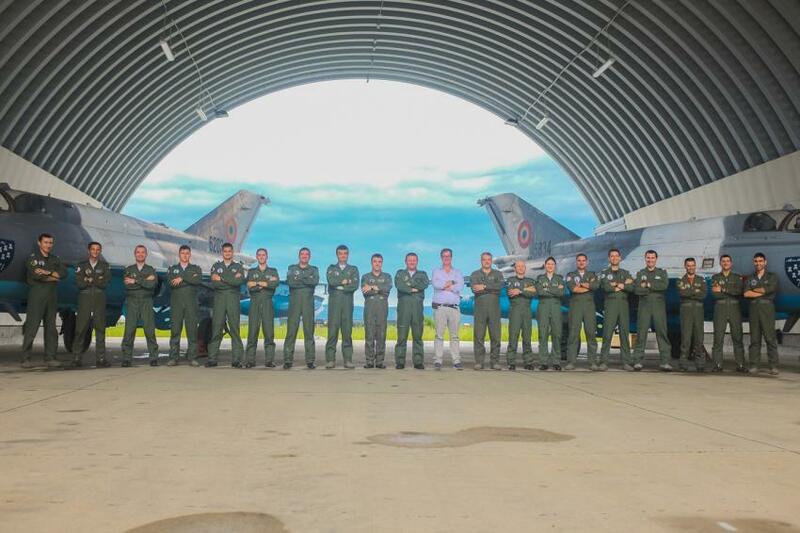 And over there the Portuguese loved his watch and when the Romanians of the 53rd Squadron, who were going to fly on the Portuguese F16 planes came, the Romanian felt really a need of bonding together all the team, going there, training on the F16, to have something that connected all of them, so why not a watch? And the Portuguese said, “Oh you need to speak to this guy from the Belgian team, who has a great watch!” That’s how it started. 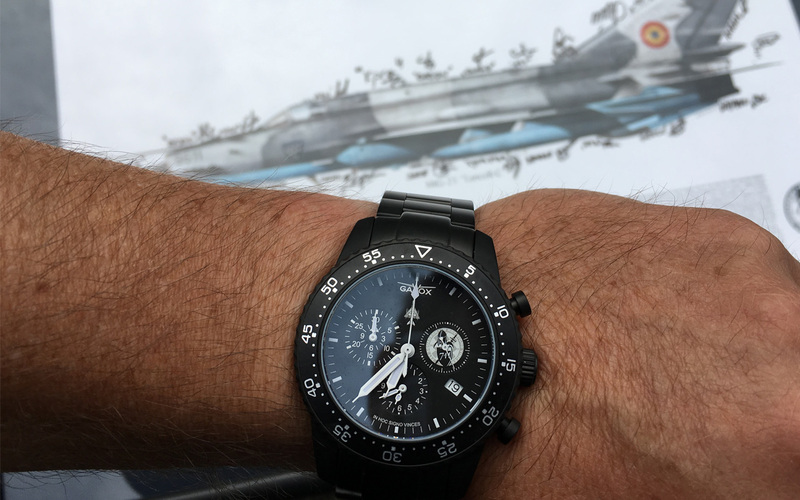 The first squadron that ordered the watch was the F16, probably you’ve seen some images already on my website, and that was a great collaboration. On the day of delivery of the watches, I go and fly to them, I go and meet them in person. Because that’s what I love! I rather put all of my money in a plane ticket to go and meet them and be in the Squadron team instead of staying here. It’s so rewarding! And for this Squadron, the problem was that my flight was late. I had a six-hour delay, so I called them before leaving Belgium and said, “Oh guys, I will have only one hour at the airport for you. I will not be able to come and see you.” And the whole crew came to the airport dressed like military. When I went out of the airport they were all there standing in Cluj, all in line, waiting for me. It was really amazing! 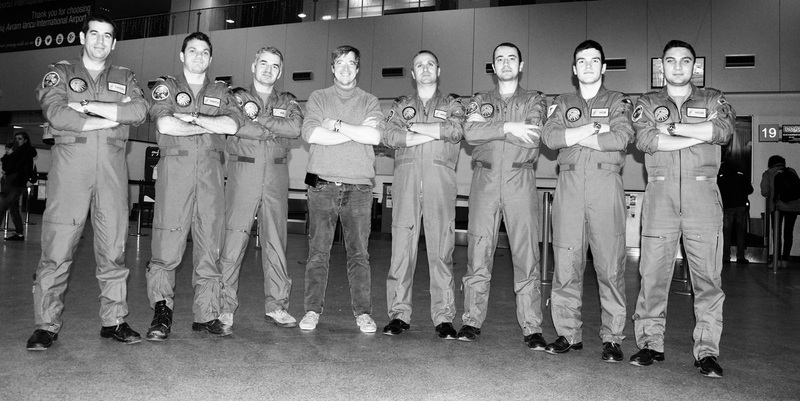 How can you feel when you see all these guys, pilots that you regard like mini Gods, and they are there for you – it’s an amazing experience. That was in November, last year. They wanted the watch before the first of December, which is the national day of Romania. And they wanted to fly with these watches when they were going over Bucharest. And, so that’s what I did – I delivered the watch, and in the airport, because this Squadron watch has a metal band, I fitted all the bands for all the pilots there, on the spot. That was my first experience with the Romanians there, and they were so nice giving me a poster of a plane, that’s something they do in aviation. Every Squadron has a set of posters where they have their planes and all the different colours of the planes and the history, and they give that as a gift for people departing the Squadron or a General retiring, or whenever they have a meet-up. And that’s what I received – an F16 all painted with their colours and with their signatures. Was this a unique watch, I mean, was it only for them? It’s only for them, I do limited series, I just wanted to make something very limited. It is based on the same case, same movement, but I can do whatever I want with the dial. This watch, completely went out of my standard. I took out all the digit I had on my classical Squadron. And I just did something for them, changing the colour of the hands to match the colour of the logo and things like that. I thought, why not, every single watch should have their own name and their nickname. So, everyone pre-ordered the watch, and I engraved specifically each case back for them, with their number, their name and their nickname. And I think that is very personal. I tried, really, to make it the best. And, for 25 pieces, I am capable of doing that. This is the number, 25? The 25 is the minimum I can accept, business-wise? So, if someone asks me, I will go for 25. Probably, if I’m able to bring many different Squadrons, I can go back to 20 or maybe lower. The 53rd squadron of Romania, they ordered I think 34 watches and I have some spare leftovers just for them. My intent and I clearly told them, is not to sell these watches. What I could do, is maybe, if there is a big need of support in their country, imagine an earthquake in Bucharest which could happen one of these days, I would ask them to take one of the watches and make a sale, an auction and donate the money. A guy who was in the F16 Squadron came back to the MiG-21 Squadron with an idea, why not make something unique for themselves? And so, I redesigned and I made quite some drawings for them. I love these guys! They are so nice with me. First, I came once, just to show them the prototype to see if they were happy, then I came last week to meet them at their place, and this time they had all the authorization for me to go in the base and meet the people, meet the General, and it was really, really nice. I wish people can understand how it is to be received like that. The pictures you sent me are from the unit from Câmpia Turzii right? So, their number is 7-1-1? Yes, that’s their Squadron, 711, and the wing is 71, and they are the first in that wing, that’s why. I create that watch again, putting the names of everyone, 35 of them. When I came there to deliver it, I fixed all the straps of course, and then they gave me again this beautiful poster with all the signatures and again it was amazing. But not only that, they said “Michael, Michael, you need to bring your camera. We will have something for you.” And so they lined up two planes, and we had the opportunity to take photos under the hangar. And again, wow! In 5 years you became a household name among European Squadrons. For a microbrand, I would still call Gavox a microbrand, you achieved a lot. Yes, it’s always fun to create something. And I want always to keep the idea of Gavox as a microbrand. The idea behind microbrand for me is important. I don’t want to steal the client. I don’t want to overdo the prices and I want to know my clients. This is important. When doing micro, I don’t go through distributors and things like that, so every person buying the watch, I can see it, I can speak to him, I can discuss, I can explain, I can give solutions and even, I repair them. 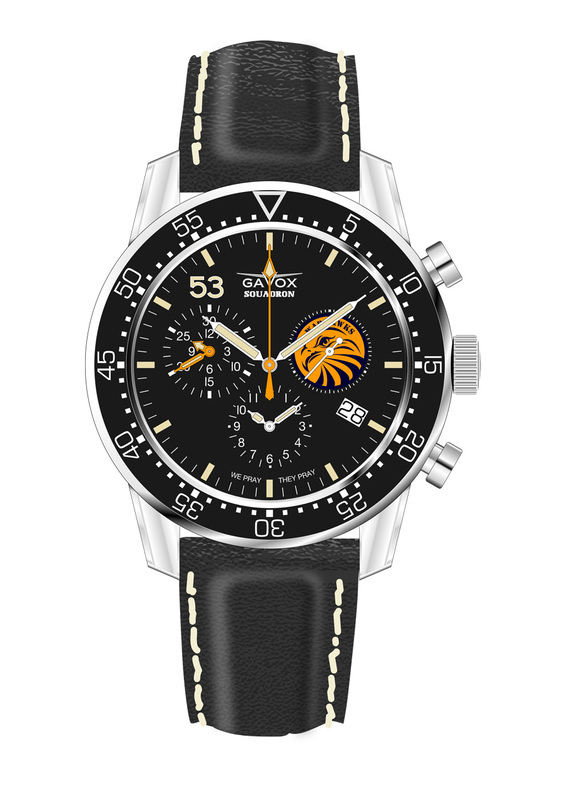 What is next for Gavox? 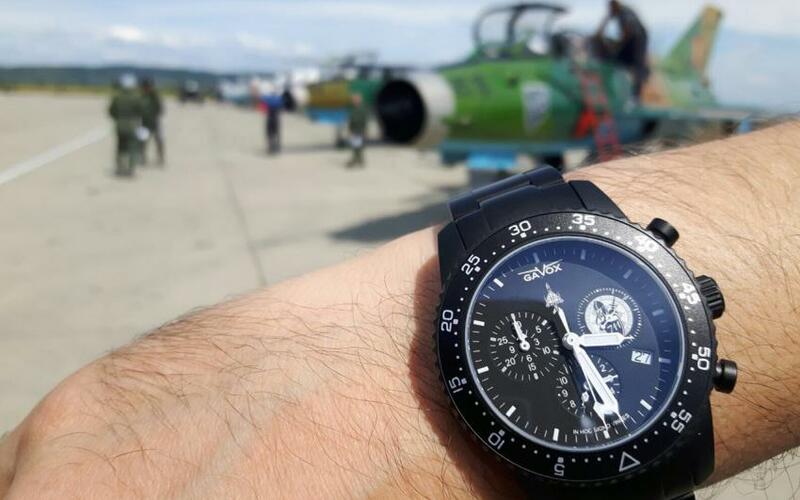 Because you are doing more than pilot watches, you are also doing diving watches too. I have diving watches, I have civil aviation with the Aurora, I have the marine style which is more classical, which is the Legacy, inspired by my ancestor who was among the first to explore Australia as a navigator, and then I made the Curtiss P-40 in light of my grandfather, and now I am making a very limited collection for racing. Not racing, I would call it roads. So, for people driving cars and having fun going on nice roads in the world. I’m preparing to do three series: one, for each one named after a specific road and on the case back, you would see all the different things to see on that road. So, why am I starting to do cars? It is because first, I can do it, and second, I’ve been introduced in some event in Belgium as – asked to sponsor some rally automobile, or sponsor some brands doing all the fleet services for the brands, so last year it was Mercedes who wanted a watch, and now that I am in that domain, I extended the collection a little bit. I see you are mainly using quartz movement? I do have both, the thing is, I will not keep myself only on a certain model or a certain movement. I like to change. But indeed, I have the Curtiss which is quartz, I have the Aurora who’s a mega quartz, and I have the Squadron it’s all quartz. This allows the pilot also to have it affordable. And efficient because it’s always there on time. So really, I think it suits well the need, and the price they pay is really – it’s a good price. For more about Gvox, go to gavox.com.